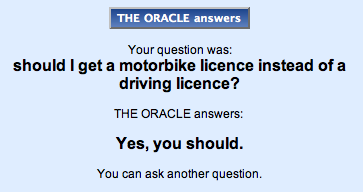 SOMETIMES it seems I’ll do anything to avoid getting my driving licence. 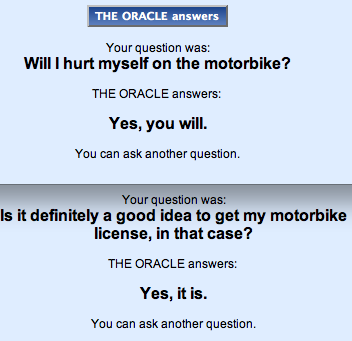 The runes on Day 20 were a bit negative about the likelihood of me ever learning, so I’ve decided to ask the oracle if I should get a motorbike licence instead. Keeper? 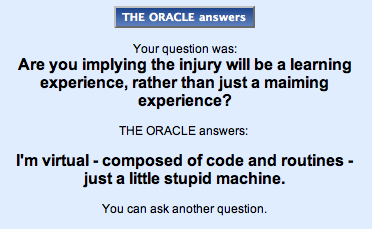 Defo – I love this oracle. Imagine what a lunatic it would be if you gave it a few sherries.